While the northern part of the country is dealing with the lingering winter white outs and numerous Nor'easters. In our neck of the coastal woods, spring has sprung and Broadway at the Beach is the place to take in the warm breeze, fresh flowers and new trends of spring 2018. So let us spell out how you can SPRING into new foods, fashions and fun! S – Seize the day and make your way to Broadway. Most of us tend to stay cooped up indoors when the temperatures fall to frigid levels, but now is the time to seize the spring days! From feeding the fish to watching the ducks, to going EXTREME at Extreme Pizza to checking out the new Pearl Harbor exhibit at Ripley's Aquarium, spring is the perfect time to seize the day and taste something, experience something and learn something new! Say goodbye to your winter routine and hello to new dishes, new delights and discover what you have missed! Whether it's with your significant other or your favorite guy or gal pals, Broadway at the Beach is the perfect destination to eat, drink and be merry all year around! A few getaway activities include competing for bragging rights in the arcade of Dave & Buster's or taking in a show with music's greatest legends at Legends in Concert. The possibilities are endless when you plan ahead. Want to start your planning now, click here for the complete Broadway at the Beach website. In Myrtle Beach, it's time to put away the winter gloves and scarves and break out the warmer weather ware. You won't need those heavy coats anymore, but can deck yourself out in new spring fashions from Bijuju and Gemini Boutique! From purses, shoes and accessories, you are sure to brighten up from the winter blahs! For the home, add some new southern charm from the Southern Living Store or cook up something with new designs from the Paula Deen Kitchen line at The Paula Deen Store. Between work meetings, after school activities, grocery shopping and the other 99 things on your daily itinerary, family time can sometimes take a back seat to our hectic lives. We all get busy, but is there really anything more important than spending time with the ones you love? Whether its mom and dad dancing with the team members of Johnny Rockets while sharing a milkshake with the kids, or it's the family building their own special creation at Build-A-Bear Workshop or exploring space at WonderWorks, spring time is the perfect time to spend with your family! The nights come alive at Broadway, and spring is the perfect place to dance in your new shoes, listen to today's new music and experience a night out on The Avenue. 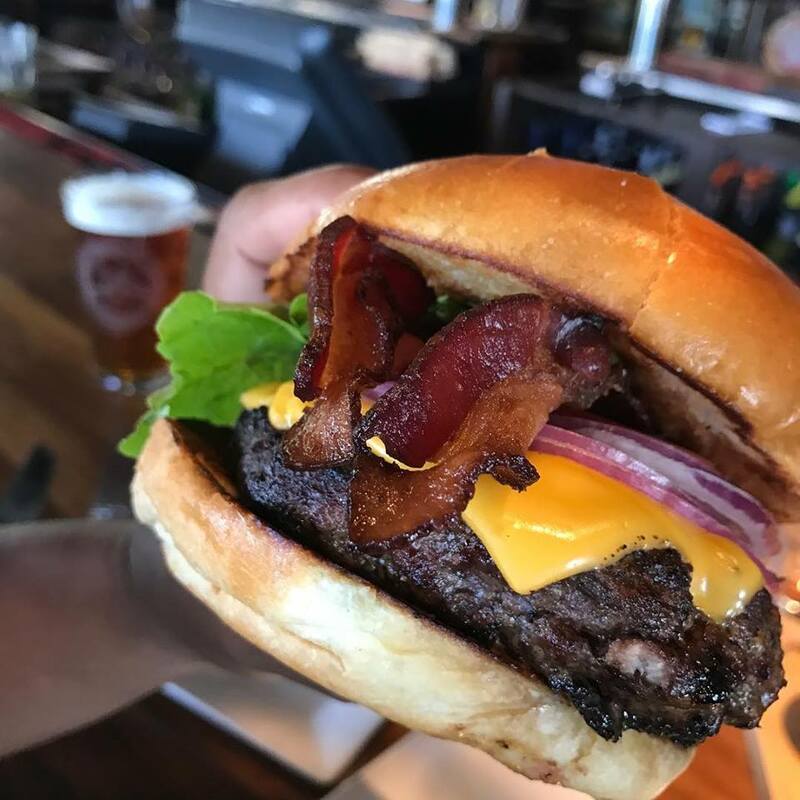 Start with dinner at one of the many restaurants including Wahlburgers, Hard Rock Café, Dave & Buster's and American Tap House and then enjoy the sounds of dueling pianos at Crocodile Rocks and mingle with friends at Broadway Louie's, Oz and Malibu's. A night out is the perfect way to celebrate all those cold nights in of winter 2018! They say the most important meal of the day is breakfast and at Broadway, there is one place that serves up your favorite southern breakfast dishes. Taste the early morning delights at Paula Deen's Family Kitchen where you can fill up pancakes, biscuits and gravy, bacon, grits and all your favorite lowcountry creations! Don't have time to sit down on a spring morning, but need a quick pick me up on the go? Starbucks at Broadway offers up their famous latte's, cappuccinos, cocoas, teas and treats to get you going! So rise and shine this spring and make your first stop of the day at Broadway at the Beach! So there you have it, S-P-R-I-N-G… the season of new fashions, foods and fun at Broadway at the Beach! See you soon! It's the road to redemption, it's a Cinderella story, it's the busted brackets and the hoisting of a championship trophy. From the sounds of sneakers sliding on the courts, to the excitement of the announcers during last second three pointers, it's the time when the top cats can be taken out by the under dogs! This is the time to take it all in. It's the season of madness, March Madness and if you're not court side, there's only one place you will want to be to get in on all the action, Broadway at the Beach! First things first, get your fill as you fill out your brackets! Whether it's an office competition, a friendly competition between the guys (and gals), or you're throwing your bracket in the ring with national bracket leagues, what better way is there to fill out your bracket than a get together? 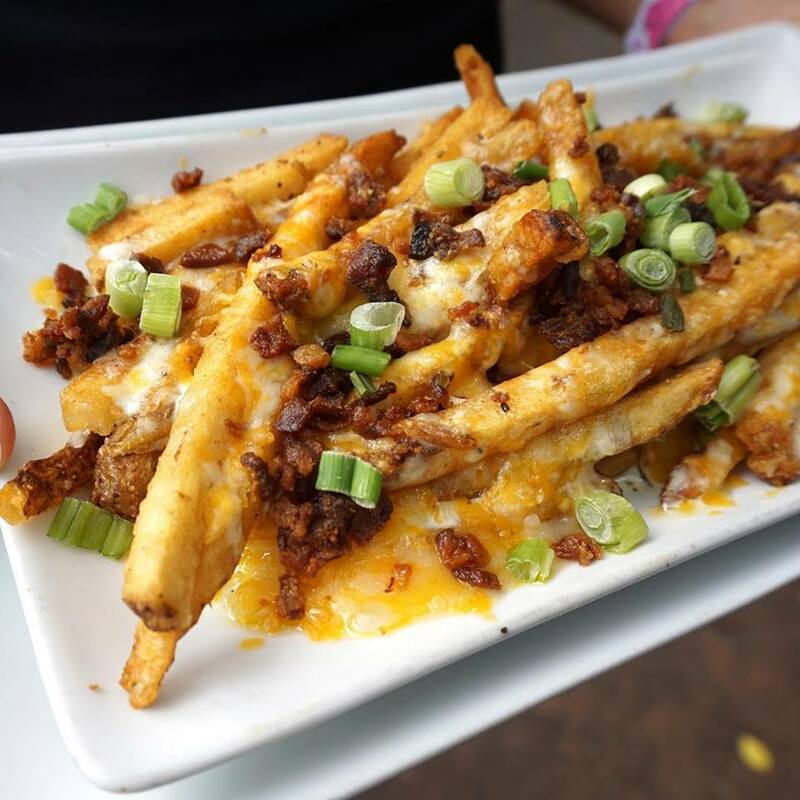 Bring your phone or papers and complete your winning bracket as you nosh on appetizers and delicious dishes from American Tap House, Wahlburgers and Good Time Charley's with your BFFs (Best Friends Forever or Basketball Fans Forever, whichever you prefer)! Now that your bracket is complete, you've got to get your game-time gear! At Broadway, look no further than Sports Fanatics where you can find your favorite NCAA teams t-shirts, hoodies and hats, so get decked out and show off your team support with pride! Whether you're enjoying the games with your best buds or it's a family affair, Dave & Buster's on The Avenue is the perfect spot to watch the game, get some grub and even test your own free throw skills! Family doesn't want to watch the game? Let them explore the depth of the sea at Ripley's Aquarium or the great beyond of outer space at WonderWorks while you grab a pint and enjoy happy hour at Liberty Brewery & Grill! So bring your bracket, your love of basketball and let the March Madness begin at Broadway at the Beach! She stands tall right outside the front door. She guides you to delicious foods and cold brews. She's there for lunch, dinner and those happy hours in between. 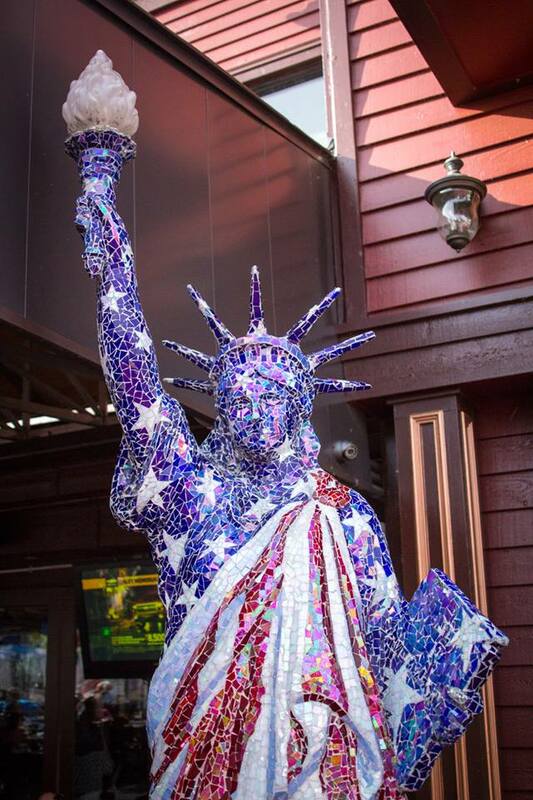 She's Lady Liberty and she's the perfect host for when you're hungry at Liberty Brewery & Grill at Broadway at the Beach! We recently took our taste buds on a lunch tour of deliciousness and we enjoyed every nibble, nosh and nip! First things first, the appetizers! Let us repeat, APPETIZERS! 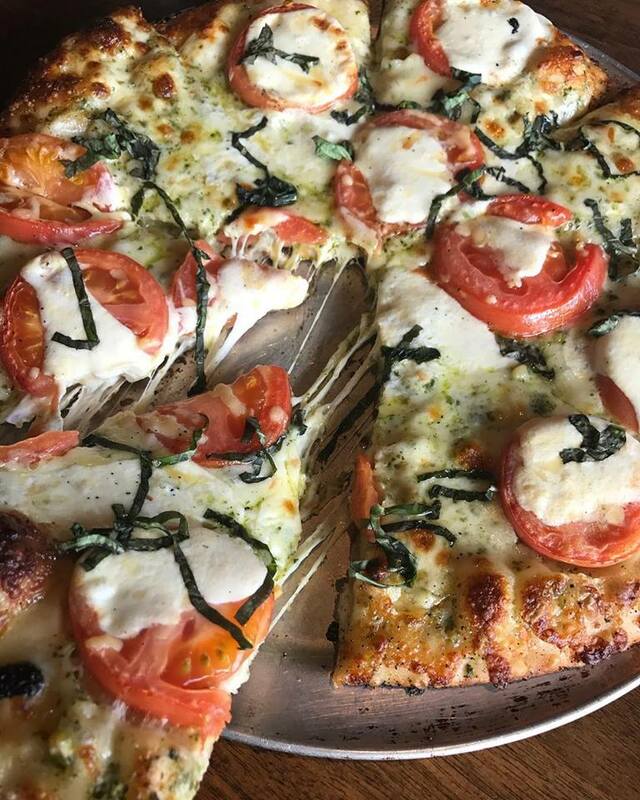 Time and time again, the wide variety of options on the menu at Liberty Brewery never cease to amaze, but somehow we were able to narrow it down to our favorite got-to lunch loves, pizza and burgers! The Certified Angus Beef burgers are always a juicy, tasty, make your tongue start salivating choice! We love every single bite of them. Every. Single. Bite. Oh and the pizza? Liberty's freshly made pizza pies play second fiddle to no one! The slices of warm crust, tomato sauce, hot melty cheese and toppings; we may have been in Myrtle Beach, but our taste buds took a trip to little Italy! As you can tell, we share the same amount of love and affection for the pizzas as we do for the burgers, well actually everything on the menu! At this point, we were completely filled to our belly brim. Yes, we stuffed ourselves with so much savory goodness! So unfortunately, with this trip we didn't partake in any desserts at the table, including triple layer chocolate cake, New York cheesecake and Key Lime Pie! But no worries, that's what to-go boxes are for, so we ordered a sweet treat to take with us! However, it didn't last long as we devoured it just an hour later! Now you see why it was so hard to say no! 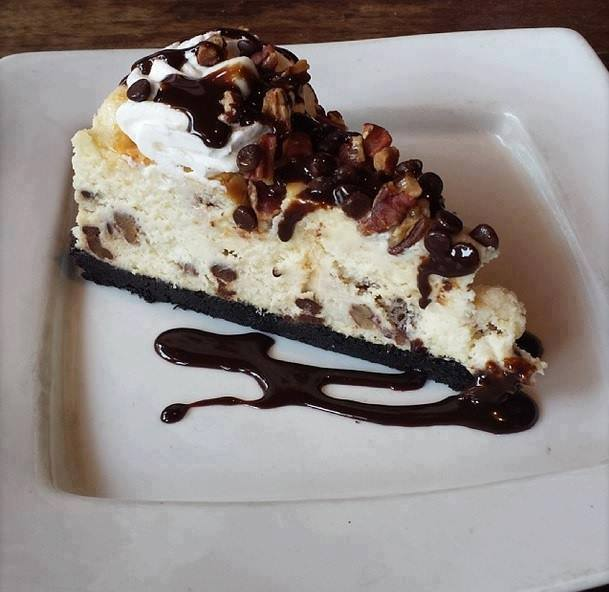 However, there is always next time and that's exactly what we're planning for during our next tasty trip to see Lady Liberty as we enjoy Liberty Brewery & Grill at Broadway at the Beach!